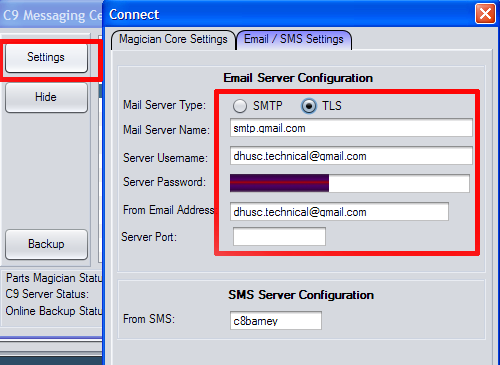 Mail server configuration is accessed via messenger service for c9 which is a system tray service. It will run on one computer in the shop only. Locate the computer, find the c9 icon in bottom right, press right mouse button on the icon and select Restore. Then click on settings in messenger to access email settings. As to what to key in, your email provider will be able to supply this information.